As The Longest Day’s inaugural partner, the ACBL has raised more than $4.7 million for the care, support and research efforts of the Alzheimer’s Association. From sunrise to sunset, members across the country will host tournaments, teach lessons and play multiple sessions to advance the cause. Join us for the 7th annual The Longest Day fundraising event supporting Alzheimer’s disease, care and research. 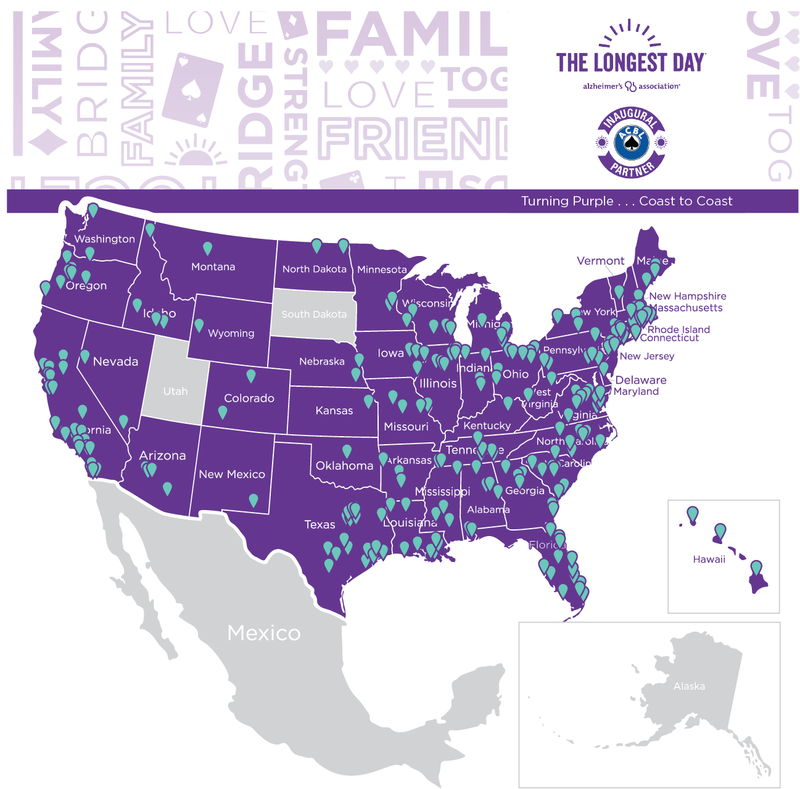 Held during the week of June 21, 2019 – the longest day of the year – the event symbolizes the difficult journey of those living with Alzheimer’s and their caregivers. Clubs, teachers, tournaments and players are invited to form fundraising teams and hold special games (upgraded masterpoints), teach lessons, conduct raffles and beyond. Show your support by registering as an official fundraising team with the Alzheimer’s Association, donating to a bridge team, participating in The Longest Day games and lessons – or all three! You’ll be honoring the more than 35 million people worldwide who are living with Alzheimer’s and countless caregivers who face this disease. And by playing bridge, you’ll show the world there is a fun game that may help slow the onset of this disease.